We Pride ourselves on our vendor relationships that we have forged over the years to mitigate and eliminate any chance of sub-standard and counterfeit products from getting into the supply chain. We currently have hundreds of thousands of components in stock with access to millions more at our fingertips. 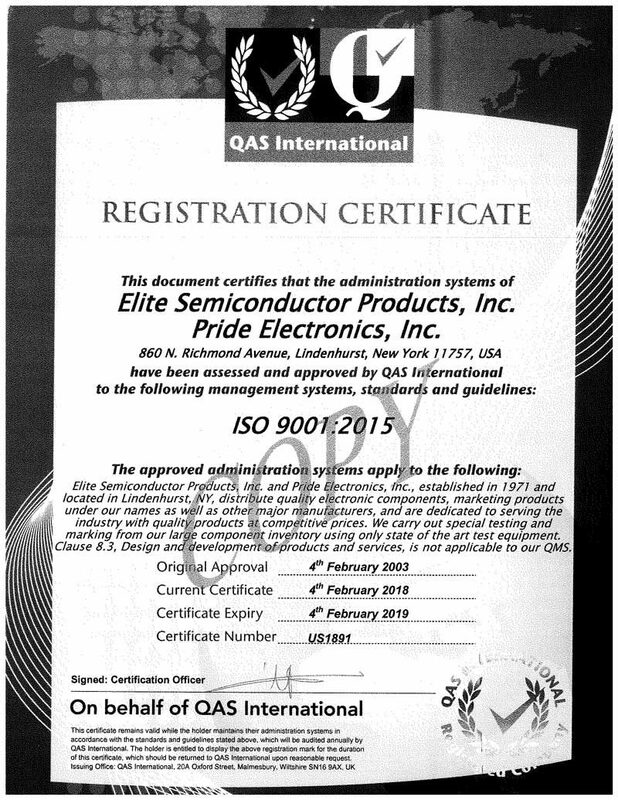 Pride Electronics is ISO9001/2015 and ASA100 certified.